Your customers are the foundation upon which your business is built. Past, present, and future — customers are what drive growth and keep you moving forward. The CRM forms the heart and soul of your business, digging deeper than simple contact management and giving you incredible analytics into customer behaviour so you can build stronger relationships with your buyers. Whatever size business you run, it all starts with CRM. Your business needs more than just a brand; it needs a brand strategy that best represents who you are, what you do and distinguishes you from the competition. From logo designs to custom website designs and more, we'll help you pick, choose and deploy the best communications tactics for your needs. Your business needs more than a logo; I'd needs a complete visual identity that defines, describes and distinguishes it in the marketplace. We'll work with you to put together a complete visual interpretation that aligns with your brand strategy, selecting the best components with which to present your brand to the world. These include. Once your branding's complete, you'll need a guidebook to help you best express your brand. That's where brand guidelines come in. We'll help you define the rules and parameters for using your logo, fonts and colours. We'll also show you how NOT to use them in order to communicate your message consistently across platforms. Blogs are a great way to build strong relationships between your brand, your customers and potential leads. Yet, providing consistently valuable content can be a time-intensive process involving research, writing, editing, publishing, and distribution. We can take care of the heavy lifting for you by producing monthly articles on topics relevant to your target audience. Videos are a valuable, powerful and increasingly popular way to tell your brand's story, to showcase your product or service and to engage with your target audience. In fact, some sources say that videos will drive 80% of internet traffic by 2021. Our extensive experience has taught us how to be a lean, mean production machine that can bring your business to life online with stories that are compelling, interesting, and emotionally engaging. Search Engine Optimization (SEO) starts with knowing where you currently stand; only then can you determine where you want to be. We'll perform a six-step SEO audit on your existing site and provide specific recommendations to improve your current search engine rankings. Afterward, we'll continue to monitor your site's search performance while optimizing your new content for maximum impact. In the 21st century, organic and paid social media techniques are the face of business, essential for delivering content to your target audience. We use a variety of tools, like content calendars, to deliver content across a mix of social networks — including Facebook, Instagram, Twitter, and LinkedIn — allowing us to help you deliver the right message to the right people (at the right time). You've got mail! Well, actually you have a list of E-mails, but we'll make sure that list receives the right content when it's most appropriate. E-mail marketing is far from passé. With a 4400% ROI and $44 returned for every $1 spent, E-mail remains one of the most effective digital marketing techniques in existence. Organic social media and E-mail marketing are great distribution channels, but they're limited by the reach of your target audience. We can help you extend your messaging beyond your E-mail lists and social media followers with sophisticated paid advertising techniques that distribute your content via paid search, paid social media, sponsored content, display advertising, and more. You want to do more than attract visitors to your website; you want them to engage with you and buy your product or service. We'll improve your conversion rates with A/B and multivariate webpage tests that optimize your landing pages to ensure the most conversions possible. We also track your webpage bounce rates, pages per session and average times on-site to ensure your website investment is delivering the best user experience for your target audience. Your marketing plan should evolve with your business. We’ll provide you with a solid bedrock for your marketing efforts with a written marketing plan that takes stock of your current position and your lead generation goals. Then we'll help you lay out the specific strategies and activities that will most effectively help your company reach its intended targets within the span of a single year. No two leads, or customers, are alike. For inbound marketing to be truly effective you have to know who you are talking to. We’ll take what you already know, bring in some new insights, then combine them into several buyer personas. Buyer personas are fictitious people who represent an ideal client for your company. Together, we’ll explore what makes each one unique, then craft the content that fulfils their expectations. Your website should be your Number One salesperson. Therefore, it’s crucial that it be mission-ready to take advantage of today's inbound marketing technologies. Whether you're looking for an upgrade to your current site, or seeking something entirely new, we build websites that integrate seamlessly with your preferred inbound marketing toolset. We’ll work with your designer to make sure that your website design lines up with your marketing goals, both now and in the future. Unless you're handling everything yourself, your inbound marketing efforts will likely come from different sources. You'll want to keep your content flowing smoothly with a consistent look, feel and message. We’ll help you create a collaborative editorial calendar that ensures all your content creators are working from the same playbook and on the same page. It's important to us that you feel confident and that things are moving forward. To that end, we’ll provide you with an ongoing consultation and monthly reporting of our progress through a weekly 1-to-1.5 hour phone call/web-meeting. We’ll also help you analyze your existing results and plan your strategies for the next steps in your marketing journey. As a HubSpot Certified Partner, Larmahil is trained and equipped to help your business grow better using the full suites of Sales, Marketing, and Service tools HubSpot provides. Larmahil is a silver tier partner, as well as a marketplace provider. We create custom modules, landing pages, blogs, website pages, emails, and workflows for our clients. We would love to help you onboard your HubSpot marketing software. We’ll handle all details of running the ZOHO CRM, but we’ll also show your team how to use all of the tools — including workflows, list segmentation, landing pages, etc. You may not write for search engines, but you'll want to consider how people are phrasing their searches for your type of content. We'll take the time to research and understand which search keywords work best for your content and explore potential opportunities that extend the reach of your inbound marketing efforts. We will help you create highly effective email marketing campaigns. Segment your email lists, and send the right message, to the right persona, at the right time. We understand CASL and can help you navigate your way to better email marketing results. Managing your marketing efforts means embracing the possibilties of calls-to-action, landing pages, web forms, thank-you pages, surveys, and follow-up emails. We'll help you put all the pieces together to create a fully-integrated, effective marketing campaign. We’ll set up workflows that help you move leads down the buyer funnel. As they do so, your leads will enjoy more content while building their confidence in your company. Effective and relevant Search Engine Optimization (SEO) remains vital for building the visibility of your brand in today's crowded online marketplace. We’ll ensure that each page of your content is fully optimized in order to get the most from organic search. We’ll help you maximize your marketing ROI by helping you select the best CRM for your sales team. 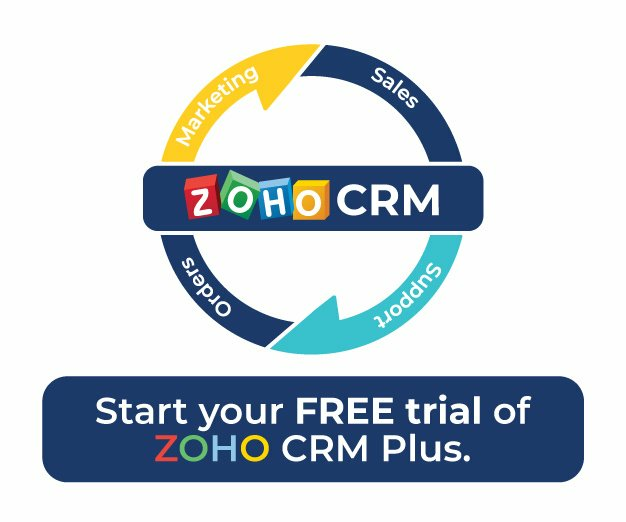 We’ll tie-in the data between your marketing tools and your new CRM, helping your team close more sales based on their online leads.